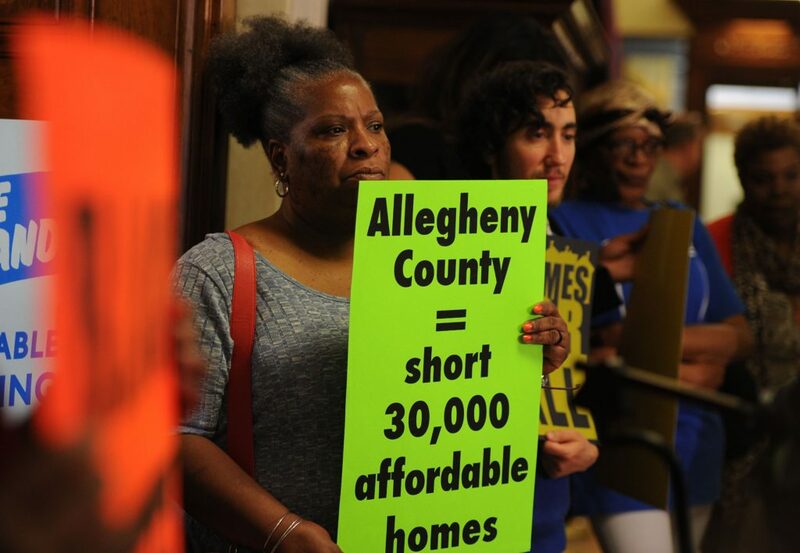 A proposed trust fund for affordable housing won preliminary approval Wednesday from Pittsburgh City Council, which could take final action as early as Tuesday. Plans would give the city an annual target of $10 million to encourage affordable housing for low- to moderate-income Pittsburghers. That aid could go toward down-payment help, home rehabilitation and new development, among a host of assistance options. “The task that we have in Pittsburgh is how we use the strength of our city to grow the entire city,” said Councilman Ricky Burgess, an ardent advocate for the legislation. He said it should foster mixed-income communities, too, amid a housing shortage for people of modest means. Mr. Burgess was among a five-member majority present for a supportive voice vote. No one dissented, although Councilwoman Theresa Kail-Smith, who left council chambers just before the vote, said she would abstain. Mrs. Kail-Smith, citing concern from constituents, said she’s worried in part about how the city would pay for the endeavor. Her district stretches from Esplen southeast to Banksville and Mount Washington. Council has yet to decide on a funding mechanism for the trust fund. Councilman R. Daniel Lavelle, who sponsored the bill, has said a variety of sources could contribute. He cited a city general fund as one possibility. Council also has mulled an increase in the realty transfer tax. Provided that the fund wins passage, council should weigh a proposal within several weeks to pay for the effort, Mr. Lavelle has said. • Advanced a proposal to expand street parking enforcement in the South Side Flats. The South Side Parking Enhancement District plans would extend meter collections from 6 p.m. to midnight Fridays and Saturdays. Meter enforcement now ends at 6 p.m. The added collections, which may begin in February or March, should generate about $250,000 a year, according to a city estimate. Much of that money would support an increased police presence, one of several measures to promote safety in the nightlife-rich neighborhood. Council could take final action as early as next week. • Gave preliminary approval to the city’s 2017 budget plans. They are due to finalize the budget by Dec. 31.